– PlatusFor centuries, cosmetics have played a crucial role in beautifying women. One of the features that women love to enhance is their eyes. In ancient times, Egyptian women applied dark green color to their under lid and soot or antimony to darken their lashes and upper eyelid. Times have changed and so are the makeup trends. Although modern women still use cosmetics to enhance their eyes, the styles and colors have changed. If used correctly eye makeup can maintain your eye health and make your eyes sparkle, but if used incorrectly, it can ruin your eye health and make your eyes susceptible to eye infections. You can accidentally damage your cornea while applying mascara or eyeliner. The damage can seriously infect the eye. If the product is expired or not properly concealed, there are high chances of bacterial growth, thereby contaminating the product. When this product is applied, an eye infection can occur. Some chemicals or ingredients present in the product can cause an allergic reaction in you. The allergic reaction can manifest in the form of irritation, redness, swelling, or infection. Never share. You wouldn’t want another person’s bacteria to get into your eyes. Your eye makeup is just yours to use. Avoid applying eyeliner on the inside of the lash line. Always use a sharpened eyeliner pencil to be precise in your application. Avoid expired product. It is easy for bacteria and fungi to grow on creamy or liquid eye makeup after the product has reached its expiry. If your eye makeup is changing color and texture or smelling weird, then it’s time to toss them away. Each eye makeup product you use has an expiry date. Replace all your eye makeup products after an eye infection in order to avoid bacteria from spreading. Refrain from applying eye makeup while driving or in a moving vehicle. You wouldn’t want to cause eye injuries with a wrong stroke of an applicator. Remove eye makeup before you go to bed because even a tiny speck of eyeliner, eyeshadow, or mascara left in or around your eye can be the cause of an eye infection. If you tend to have a lot of skin allergies, it is a good idea to introduce new makeup products one at a time. So, if an allergy occurs, you can pinpoint the product. Avoid using products that contain harmful chemicals or ingredients that have not been tested yet. If you have had an eye surgery, it is best not to wear any makeup. Consult your ophthalmologist in Fresno, CA before using makeup on your eyes. If it’s safe to use, discard the old makeup and wear only fresh new makeup. If you believe you are suffering from any symptoms that could be as a result of makeup use, getting it treated is important to maintain eye health and avoid further complications. Make an appointment with Insight Vision Center today. Most people wear safety glasses at work and when playing sports but the same people won’t think about eye safety at home when cooking, cleaning the yard or doing work in the garage. All too often, when people are doing household chores, they tend to forget about the risks they take by not wearing protective eyewear. A split-second is all it takes to impair your vision for life so reduce the risk of potential eye injuries at home by following these 7 simple tips during daily tasks in and around your home. Don’t make the mistake of assuming that normal glasses are efficient at protecting your eyes because they may shatter if struck, causing even more damage than you can imagine. Most home renovation projects involve the use of hazardous chemicals and sharp tools that can cause irreparable damage to your eyes in case of accident. So, make sure you wear specially designed polycarbonate safety goggles that provide excellent protection during yard work, spring cleaning and home improvements. Household chemicals like lime dust, detergents, cleaners or bleach cause 125,000 eye injuries every year. When using these hazardous solvents and chemicals at home, make sure the area is well-ventilated and wear chemical safety goggles. Also, never make the mistake of mixing caustic substances or chemicals agents and always follow the manufacturer guidelines and warnings. Sometimes eye injuries still occur so, in the event of an eye injury, flush your eyes with water for 20 minutes to wash away the chemicals and seek medical attention at the earliest. Ensure safety on the stairs and walkways, install gates, secure rugs and remove all tripping hazards to avert potential eye injuries. Also install sufficient lighting and handrails, especially if you have toddlers or senior citizens in your home. Before undertaking any yard work like mowing the lawn or trimming the weeds, remove all the dirt and debris including branches, twigs and thorns to prevent potential eye injuries and wear safety glasses. Cooking food can splatter hot oil or grease in your eyes. Use an eye safety shield to prevent hot oils from splashing on your face and damaging your vision. Always remember to wash your hands after you have completed any work and before you touch your face or eyes. Be sure to stack all power tools and chemicals out of the reach of small children. All screws, nails, and sharp hand tools can shoot off accidentally while power tools can propel dirt and debris into the air, resulting in serious eye injuries that invite a medical emergency. So make sure they are in good working condition and store them carefully. If you experience any eye injury, do not touch the eye or rub it. Also, do not apply any medication and don’t attempt to remove any foreign object from the eye yourself. Whether you have suffered an eye injury due to a flying object or a hazardous chemical, cover the eye with a shield or tape a cup over it and seek medical attention immediately. Visit your nearest Ophthalmologist for immediate assistance. This informative podcast covers everything from eye diseases and safe corrective eye surgical procedures to candidacy, complication rate and recovery. Hear from a trusted ophthalmologist in Fresno – Dr. Eric J Poulsen talk about all the surgical options you have to get rid of bothersome eyeglasses or contacts and learn more about the latest ophthalmology treatments like the smile surgery, corneal crosslinking, monovision LASIK surgery, implantable contact lenses and the latest developments in cataract surgery. Know the right treatment for your vision problem, how the surgical procedure is performed, and potential outcomes while also exploring other types of procedures appropriate for your situation and get the best advice. In the recent “State of the Air” report released by The American Lung Association, eight of the USA’s 10 most-polluted cities are in California. Bakersfield, Visalia, Fresno, Sacramento, Modesto, and Redding are a few cities in California reported for being highly ozone-polluted. The activities of 33 million people generate large amounts of pollutants in the air. The terrain or topography of California traps pollution. The warm temperature and sunny climate help in the formation of ozone and other pollutants. Living in these polluted cities increases the risk for dry eye syndrome. Pollution can cause dry eyes leading to dry eye syndrome. Adequate and consistent production of tears is essential to keep your eyes healthy. Pollutants in the air can damage the normal production of tear leading to dry eye syndrome. This deficiency in tear production hampers a person’s quality of life. The condition affects up to 4 million Americans aged 50 and older. With the rise in pollution levels, more and more people are diagnosed with dry eye syndrome. The easiest way to protect your eyes from air pollution is by staying hydrated. Drink at least eight glasses of water. It is essential to keep your body hydrated if you want your eyes to produce adequate amount of tears. When outdoors, sunglasses are great for providing the required protection to your eyes. They save your eyes from dust, debris or any harmful particles present in the air. Increasing the humidity levels indoor is an ideal way to protect your eyes. The air outside is dry but you can keep the air in your home moist. The humidity will not only keep your eyes moist but will also help in clearing your sinuses. 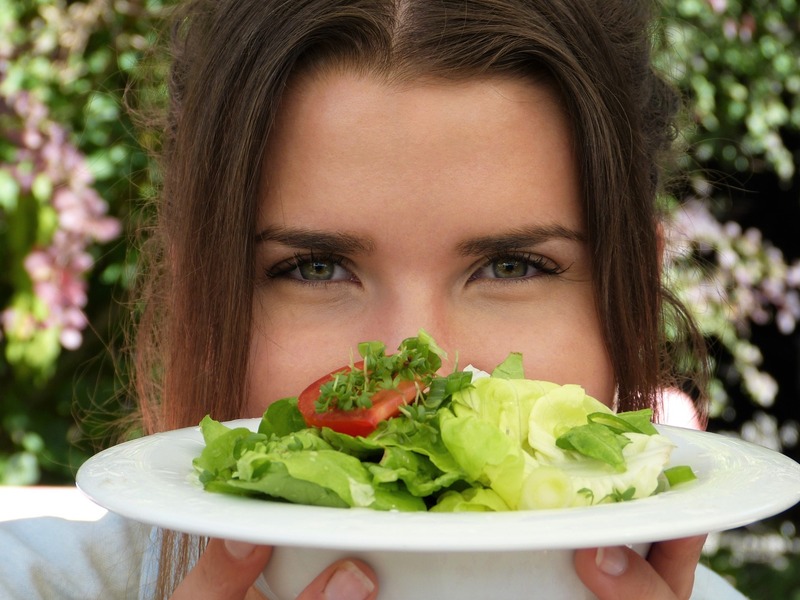 Many people overlook the effect of proper nutrition on health. A daily intake of foods rich in fish oil, antioxidants, and foods omega-3s is a super effective prevention method. If there is high level of particulate matter in the air, limit your exposure to outdoors. Stay indoors. Even if you have to get outside, protect your eyes with spectacles and/or masks. While it is extremely important to protect your internal organs from air pollution by wearing a mask, it is equally important to protect your eyes too. If you are living in Fresno, California, which is one of the cities reported as highly ozone-polluted, it is recommended to get your eyes examined by an experienced Ophthalmologist in Fresno, CA. Give a call on (559) 449-5050 to Insight Vision Center today. In the journal of clinical insight, researchers have found that performing retinal scans can pick up amyloid plaques which cause Alzheimer’s in the brain. Getting a yearly eye test can be a way to pick up early stages of Alzheimer’s and early intervention will be helpful to caregivers and family members. Researchers may have brought up a step closer that can detect a hallmark of the disease. Alzheimer’s is the most common cause of dementia, affecting more than 40 million people worldwide. And yet, finding a cure is something that still eludes researchers today. It includes difficulty sleeping, disturbed memory, drastic mood changes and an increase in confusion. Your eyes may give doctors a window into one of the most difficult diseases to diagnose and doctors may have a peek at what the retina reveals about the early stages of Alzheimer’s. Eye tests may soon become the simplest and cheapest way to establish a precise diagnosis of Alzheimer’s eyes. Our eyes, because of their neurons are in some way an extension of the brain. One of the first detectable signs of Alzheimer’s is the accumulation of beta-amyloid protein aggregates in the brain. These aggregates begin to form 15 to 20 years prior to the onset of the first symptoms of the disease. And they can be detected through brain imaging, which is a costly method. A retina examination is simpler to perform and several research groups worldwide are currently testing this approach. Some researchers evaluated the thickness of the retina. They discovered that people who have memory problems had a thinner retina, compared to those without memory problem. Alzheimer’s effect on eyes reveals five main areas of visual deficit that result in inaccurate perception. Some patients with Alzheimer’s eyes are incompetent to detect movement. They don’t see the world as an ongoing video like most people do and instead see them as still photos. This perception of the world can cause patients with Alzheimer’s eyes feel even more lost even in familiar surroundings. They may face difficulty following a moving object which can impact the ability to comfortably watch television or perform an activity that requires fast motion. Patients have trouble judging how far they are from an object. For example, this comes into play when someone is trying to sit down on a chair behind them and they can’t figure out how far they are from the object and they miss the chair and fall. And that can be a serious injury. They also have trouble of understanding whether or not an object is part of a surface or a separate object. People by mid Alzheimer’s disease have a 12-inch field of vision where they have lost everything on the top and on the sides, as well as the bottom. Patients with Alzheimer’s eyes need objects of high color contrast. In order to pick out one object from another, they need to be of strongly different colors. For example, a white plate on a dark blue background on a table. A cup that has a strong color and is different from the liquid that’s in it would really help patients be more independent for longer. Schedule an appointment with a trusted Ophthalmologist in Fresno today, to pick up early signs of Alzheimer’s eyes in your loved one. The easier access to the internet has significantly improved our lives, and with more services being made available on our mobile device, the multitasking smartphone does even more today. You can do a lot on your smartphone today that include shopping, watching television, checking the weather, and now even an online eye test that determines the vision and potential problems in your eye. A study reveals that 75% of Americans use some kind of corrective lenses. Getting the perfect pair of glasses can be time-consuming, which is why a new breed of vision test promises quick results. But can an online eye test replace your eye doctor? What can an Online Eye Test do? So it happened again. You misplaced your only pair of glasses or maybe you’ve run out of your last box of contacts. In order to get them replaced, you need a new prescription which means an appointment with your eye doctor. But now companies are offering to check your vision online, without having to step into a doctor’s office. They even send your eye test results to an ophthalmologist who can review the results with a prior prescription and issue a new prescription for glasses, contact lenses or both. However, online vision tests may detect visual acuity but are not designed to replace comprehensive eye exams. In fact, many eye care professionals question whether they are reliable as these tests cannot spot early signs of eye conditions. If you have medical concerns stemming from these tests, you should seek assistance from an eye care professional immediately. What can an Online Eye Test not Check? Online eye tests cannot effectively detect what an eye doctor can examine in person. For instance, your medical case history, color blindness, retinoscopy, dry eye syndrome, glaucoma, cataracts and pupil dilation, amongst many other vision problems. In-person eye tests even diagnose conditions like diabetes, high blood pressure, and even tumors. 92% of surveyed Americans would rather complete a comprehensive eye exam that is guaranteed to be accurate. The same survey showed that 86% of people preferred face-to-face interactions with their eye doctor compared to online eye tests. Don’t cut corners when it comes to your eye health. Online eye tests aim to assess your vision correction needs but they may not be very accurate. Additionally, these online eye exams don’t replace other important aspects of regular eye examinations. Your doctor assesses your eye health, spotting early signs of eye conditions. You’re also at a greater risk of an inaccurate prescription for your eyeglasses or contact lenses with these self-administered vision tests. Moreover, if your eye test isn’t done correctly, you may not be able to see as clearly as you should while driving and may experience headaches and eye strains with your new corrective lenses. Schedule an appointment with a trusted Ophthalmologist in Fresno today for a comprehensive eye exam and any updates to your contact lenses prescription. Most people have some degree of astigmatism and yet there are so many people who are still confused and may miss out on signs of astigmatism. Here are some common facts about astigmatism and the symptoms you should look out for and the steps you can take to treat them. Astigmatism is caused by an irregularly-shaped cornea which makes it look more like a football than a normal spherical-shape structure. A cornea with a rounder shape controls the amount of light that enters, allowing you to see things around you clearly. An irregularly-shaped cornea prevents an even distribution of light, resulting in blurred vision. An irregularly-shaped cornea is a genetic trait, just like the color of your eyes that may have passed from one generation to the next. So, if you start experiencing blurry vision over time, it may be unquestionably out of your control. Astigmatism symptoms should be caught early, especially in children. If overlooked, it can result in more serious and permanent conditions like amblyopia, commonly known lazy eye. Regular eye exams should be an essential part of your child’s growing years to avoid further complications. The ability to see in three dimensions and judge the distance of an object is called depth perception. Eye conditions like astigmatism make depth perception issues more prominent. This makes it difficult to determine the proximity of certain objects or the distance between two objects. Astigmatism blurs the edges and outlines of things you see. So even if your depth perception is not affected, the overall quality of your vision may be poor nonetheless. Astigmatism has more than one category. An irregular-shaped cornea is called corneal astigmatism. While the shape of the lens being distorted is known as lenticular astigmatism. Both result in distorted vision when looking at objects near and far. Lasik surgery can permanently reshape the cornea, guiding it to a rounder shape that helps you see clearly. Expect a sharper than ever vision without having to deal with corrective lenses. High blood sugar levels can affect the shape of the lens that is responsible for the focusing power of the eye. Eye problems are collectively referred to as diabetic eye disease. It commonly includes diabetic retinopathy, where the tiny blood vessels in the retina are damaged, but may also include cataracts and glaucoma. Constantly rubbing your eyes can cause damage to the cornea and eventually result in increased pressure and irregular change in the shape of the eye. A person with mild astigmatism has < 1.00 dioptre, a person with moderate astigmatism has 1.00 to 2.00 dioptres, a person with severe astigmatism has 2.00 to 3.00 dioptres and a person with extreme astigmatism has > 3.00 dioptres. People with astigmatism may suffer from headaches, tired eyes and experience sensitivity to bright lights. At times, near-sighted people may squint to improve their vision. If you’re looking for an experienced Ophthalmologist in Fresno, book an appointment with us today and allow our helpful clinical staff at Insight Vision Centre to bring back those healthy eyes. 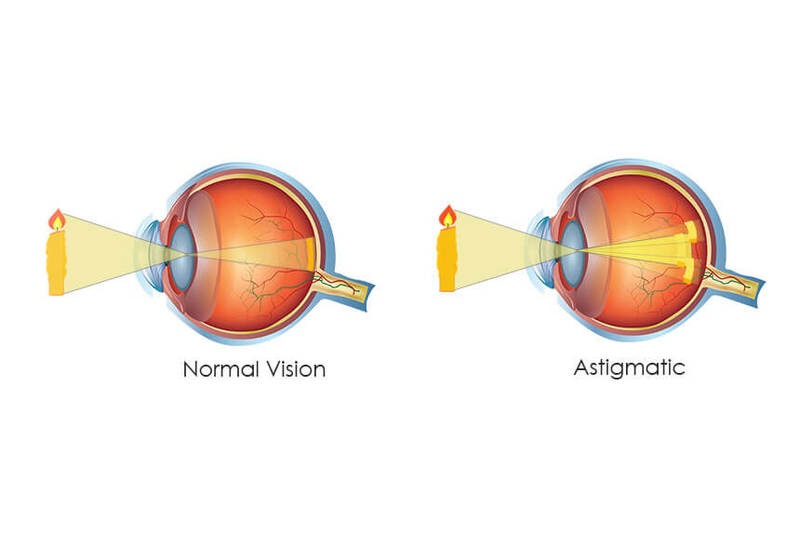 Astigmatism is a common eye condition that occurs when the cornea is irregularly shaped. An irregularly shaped lens or cornea obstructs the light that should focus correctly on the retina. The condition worsens at night or in low light conditions since the pupil dilates in need of more light. If you have astigmatism and wear toric lenses, you may still experience poor vision at night. Halos and glare are common amongst night drivers who have astigmatism. Toric lenses are designed for people with either astigmatism and help correct the degree of astigmatism for a clear vision. To correct your vision properly, Toric lenses should be placed in a pre-decided position on your eye, and it is important that they do not rotate on your eye, but they frequently do. This results in poor vision. Glasses create glare especially in the areas with artificial lighting after dark. Getting your vision corrected is important since most critical decisions made by drivers are based on sight. A lot of drivers aren’t aware of the relationship between good vision and good driving, especially if you drive at night. Figure out what works best for you. Get glasses and Toric lenss and get used to them when you’re not driving. If you wear glasses, switch to anti-reflector glasses when you’re diagnosed with astigmatism since they are much less likely to intensify glare than other corrective lenses. They can also help cut down on poor vision in low light helping you drive at night. Having to deal with painful, irritated eyes while driving can not only be annoying, but also dangerous. Toric lenses for astigmatism often result in dry eyes. Driving at night can also result in a glare that reflects off the dry, irregular surface of the cornea. If you wear contact lenses to correct astigmatism, make use of contact moisturizing drops to prevent drying of your Toric lenses. Lasik eye surgery is the permanent solution to the common annoyances of dealing with corrective lenses when you have astigmatism. With a quick recovery rate, a Lasik eye surgery can save you money on annual costs of glasses and contact lenses. And more importantly, it will help you with better vision to allow you to drive safely. If you’re looking for an experienced Ophthalmologist in Fresno, because you’re tired of driving with astigmatism, contact Insight Vision Center today for your Lasik evaluation and get one step closer to saying goodbye to night vision problems and blurry vision for good. 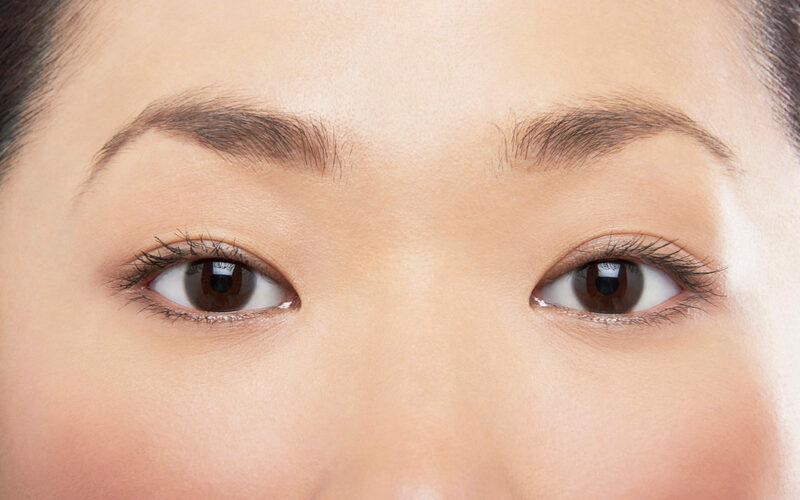 What Are Eye Floaters and How to Treat Them? You have probably already noticed that small dark spots sometimes seem to follow the movement of your eyes. These curious black floats that question us are, in fact, an integral part of our ocular system. These shadows, which can manifest in many forms and move in our eye, obscuring part of our visual field, are called eye floaters. Observed in more than 70% of people, they appear as lines or black dots, sometimes gray. These are dark spots in the form of dots, circles, lines or cobwebs that seem to move in the visual field. They are particularly noticeable when you look at a background with little colors such as a clear sky or a white wall. Eye floaters can appear in multiple shapes or numbers and they seem to move when looking in different directions. Floating bodies are in principle, simple proteins from the gel-like substance in the eye called vitreous. This threadlike group of proteins blocks the arrival of the external light to the retina, causing a shadow in front of the latter. So, the dark shapes that you see and move in your field of view are actually the floating bodies themselves. Once you develop eye floaters usually they do not go away, but they tend to improve over time. The inside of the eye is filled with a transparent and gelatinous substance called the vitreous. The vitreous helps maintain the shape of the eye and allows light to penetrate through the retina – the thin, light-sensitive tunic that lines the back of the eye and works much like a film in a camera. Floating bodies are small gelatinous masses that form in the vitreous. Even if one has the impression that they are on the anterior part of the eye, they actually float in the vitreous and are perceived as shadows by the retina. Age-related eye changes: With aging, vitreous shrinks and often separates from the retina. In fact, between the ages of 50-70 years, the vitreous is separated from the retina in about 50% of people and this causes the appearance of vitreous floaters. These can be very annoying at first, but the brain gradually learns not to pay attention and after a few months, you barely notice them. Visit your ophthalmologist to keep a check on age-related eye diseases. Inflammation in the back of the eye: Seeing floaters can sometimes result from internal inflammation or crystalline deposits that form in the vitreous. Torn retina: Most of the time, the vitreous separates from the retina without causing any problem. In some people, there are adhesions between the retina and the vitreous and tearing of the retina can occur when the vitreous detaches, causing in the eye a slight bleeding that may look like a group of new bodies floating. Other causes: Rare causes include tumors and the presence of intraocular foreign bodies. In some cases, the moving organs may be associated with diabetes, the results of ocular surgery or advanced cataract. Benign eye floaters almost never need medical treatment. If they are unpleasant, you can move them away from your field of vision by moving your eyes. This maneuver moves the fluid in your eyes. Looking up and down is generally more effective than looking from side to side. If eye floaters are so dense and numerous that they affect your vision, your ophthalmologist may consider a surgery called vitrectomy. During this procedure, a part or all of the vitreous body and its floating debris are removed and replaced with saline solution. Vitrectomy can have complications, such as retinal detachment, retinal tears or cataract. The risks of these complications are low, but if they occur, vision can be damaged permanently. Because of this, most surgeons will not recommend vitrectomy unless eye floaters are causing an extraordinary visual impairment. 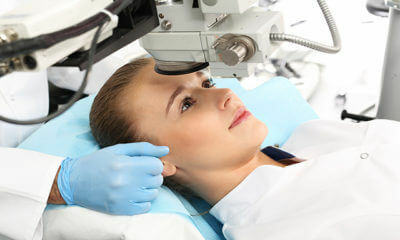 Another option is laser vitreolysis wherein a laser beam is focused on large seeing floaters to break or vaporize them. However, you will need a good ophthalmologist to determine if you can benefit from this treatment. If you are in Fresno, you can find qualified and experienced ophthalmologists in Fresno for treatment of your eye floaters.